Images & Results sent by Jens Uwe Tonne. Racing & winning mandatory Mixed like in the Nacra 17 is one thing, sailing and winning Mixed in an Open class like the F18 has double merit. 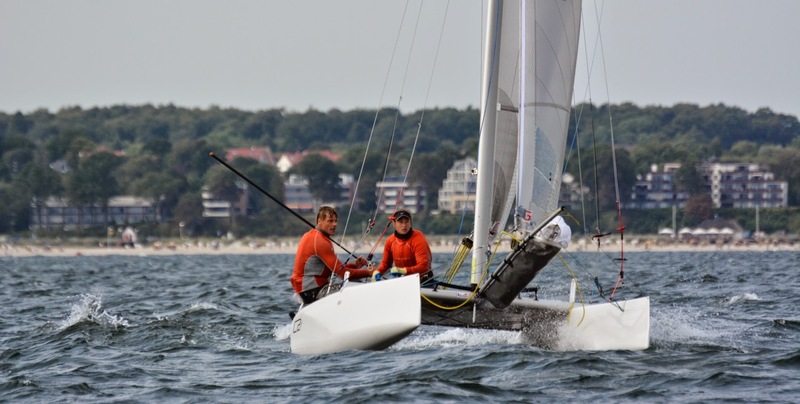 Robert Scgutz & Rea Kuhl (C2) have won the 2014 German F18 Nats over a 40 boat fleet. 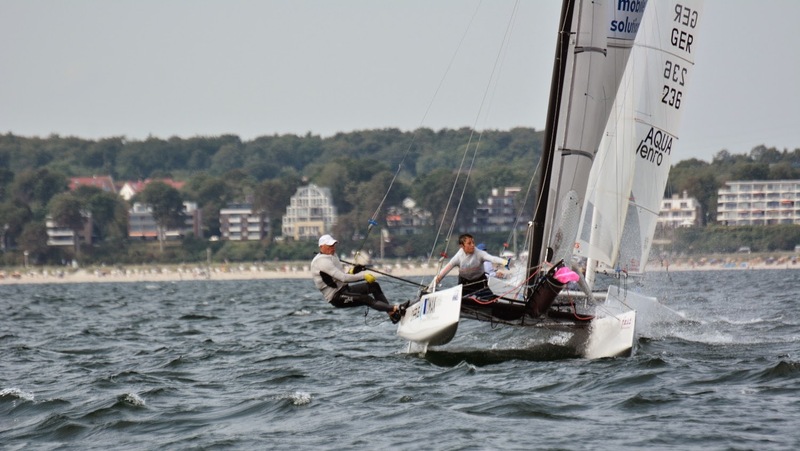 2014 Worlds are going to be held in Kiel, Germany. 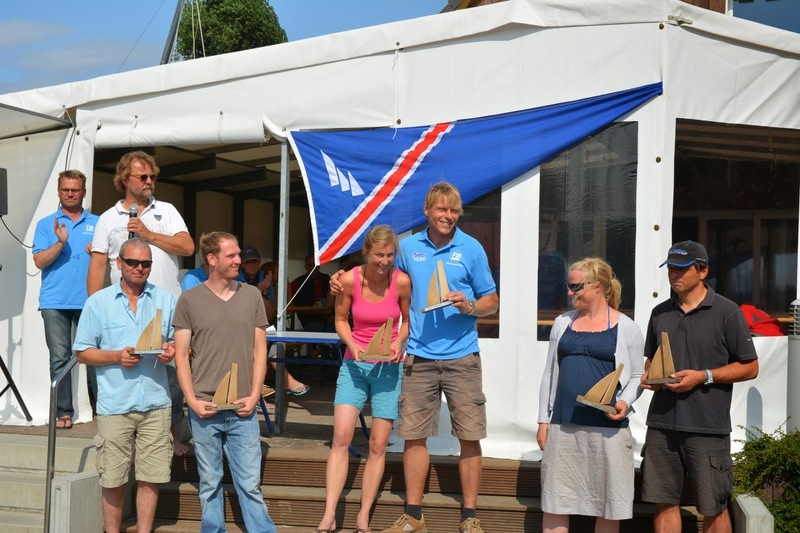 2nd place for Jorg Gosche & Hannes Pegel (Wildcat), Sven Lindstadt-Maren Odefey 3rd overall for another Mixed crew . The local fleet is looking good with 40 boats for a local Nats towards towards next Worlds in Kiel 2015, great work on the German fleet. The F18 Class will aim for the usual numbers again for Kiel, Ireland was a great event and for x reasons didn´t got the desired nrs or support by the European fleet, but the Class needs to continue to open the frontier and expanding/developing local classes if they want to continue long term growth. In fact 2015 is going to be a key year for the Class without a doubt. With some german sailors we might have a special project for the occasion. More news soon. Full results below (40boats). Check some excellent ones by Nils Bergman at his FB page.